Foundation courses can bridge the gap between your current qualifications and the knowledge and skills required for the undergraduate programme you want to do. Even if you have not yet achieved the necessary academic qualifications, or your English language is not yet at the required standard, the Foundation Department at the University of Buckingham will help you to identify your needs and direct you towards the programme that is tailored to your needs. Why Choose Buckingham for a Foundation Course? Doing a foundation course at Buckingham will allow you to complete your foundation and undergraduate programme in just three years. This means a faster – and smoother transition into university study in a supportive and stimulating learning environment. We work closely with all departments to ensure our foundation programmes prepare you with the necessary academic, intellectual and practical skills for your chosen programme of study, be it in Business, Humanities, Law or Science. 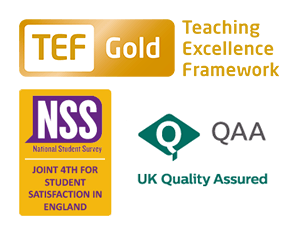 Our foundation programmes will expose you to all of the most useful teaching and learning methods used in British universities to help you become an independent learner who is prepared for university study. What Foundation Courses are Available? If you have any questions about our Foundation courses, please email Subhi Ashour (foundation-admissions@buckingham.ac.uk). Visit our Course Finder for details of Integrated Degrees.